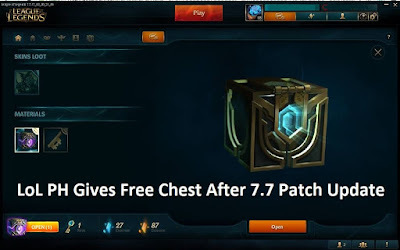 League of Legends PH gave a free chest after the 7.7 Patch Maintenance Update. This free chest includes Skin, 125 Orange Essence and a Ward Skin along with an introduction to crafting system. According to some players, low level account which level 29 below will only receive the free chest while others said that even they are level 30 they still received a chest. Let's take a look to some comments of players regarding this LoL PH free chest giveaway. Comment 1 translated : "Yes dude, it's for level 29 below". Comment 2 translated : "What about me, level 30, I received". Comment 3 translated : "I received this free chest and key but in low level account only. My 3 level 30 accounts received none, maybe it's for low levels only". Comment 4 translated : "Yup, its free, you will get the following: Skin, Ward Skin and 125 Orange Essence". Comment 5 translated : "What about me, I'm low level but I didn't received it?" 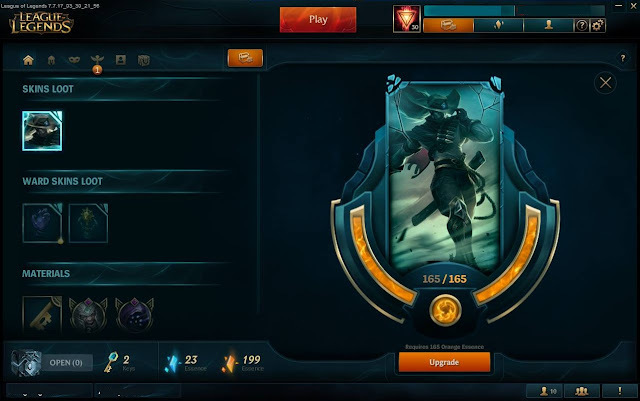 A screenshot of a level 30 account who received a free chest and received a High Noon Yasuo skin. Based on the comments above, we can probably say that this free chest by League of Legends PH is a randomized giveaway. But we can't still conclude, so leave your comments to let other players know other information regarding this free chest.